THIS EVENT HAS BEEN CANCELLED DUE TO SNOW. STAY TUNED FOR UPDATES ON THE REST OF TODAY’S SCHEDULED EVENTS. WE ARE NOT READY TO CANCEL EVERYTHING YET AND WILL BE MAKING DECISIONS AS THE DAY GOES ON. Presented as part of the 34th Seattle Improvised Music Festival. Odeya Nini is a Los Angeles-based experimental vocalist and composer with work spanning solo voice to chamber music and collages of musique concrète. As a vocalist she is devoted to redefining vocal interpretation and song through an exploration of extended vocal techniques, and how they resonate with the physical body’s language and space. The Voice is an instrument that radiates from the soul, resonates in the body, and is pure energy and touch. Harnessing the energy of the Voice is a strength that is felt deep within ourselves and heard loudly outside of ourselves. This two-hour workshop at the Good Shepherd Center Chapel in Wallingford is dedicated to Vocal Expression, sensing the voice, feeling and understanding the physicality of sound, freeing our minds of preconceived ideas of song, and realizing the transformational healing effects we have on ourselves and others when we use our voice with intention and love. Both through introspective work and outward playfulness, we will explore the voice as an instrument that radiates from the imagination, body and movement, not limited to conventions of language, but rather able to convey myriad forms of communication. Come play, shift, listen, explore and Free The Voice! To assure your place in this workshop, pre-registration is strongly suggested – please contact Odeya directly to register. 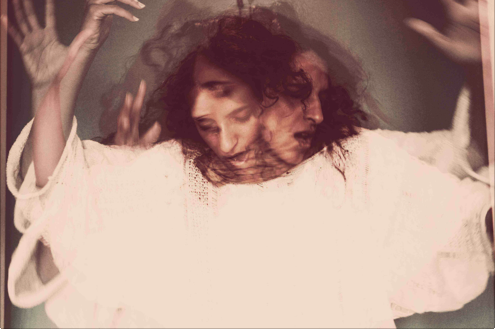 Odeya Nini has collaborated extensively with dancers, visual artists, filmmakers and theater directors as both a composer and soloist and has worked with and appeared in works by artists and ensembles such as Meredith Monk, Butch Morris, Lucy & Jorge Orta, wild Up and The Industry. Her work has been presented at venues and festivals across the US and internationally, such as The Hammer Museum, REDCAT, Joyce Soho, MONA and Art Basel Miami, from Los Angeles to Tel Aviv, Australia, Mongolia, Madagascar and Vietnam. Odeya holds a BFA from the New School for Jazz and Contemporary Music and an MFA in composition from California Institute of the Arts. She has lectured on contemporary vocal techniques and composition at the university level and leads workshops exploring the creative and healing qualities of voice and movement.